Our sister and loved one, Deborah Pettway is a 60-year old native of Alabama who was diagnosed with pulmonary fibrosis, a serious lung disease, in the fall of 2013. There is no cure or effective treatment for Pulmonary Fibrosis. Her doctors at the Methodist Hospital in Houston have told us that her only option is a life-saving lung transplant. Deborah has always maintained a very healthy lifestyle. Now she is very limited in what she is able to do and is dependent on oxygen 24/7. A lung transplant is her only hope for survival. Deborah is kind hearted who has dedicated much of her time taking care of her father and mother before becoming too ill to do so. Deborah was born in Mobile, Alabama graduated from Davidson High School, attended Texas Southern University, and later attended Keller Graduate School of Management obtaining a Masters Degree. 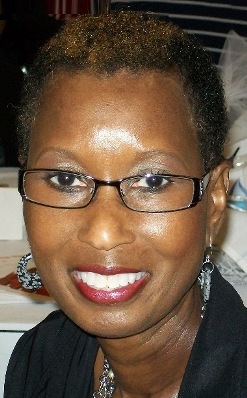 Deborah was employed by the IBM Corporation for 19 years while living in Atlanta and then relocating to Mobile, Al. to be closer to her elderly parents while she continued to work for IBM. 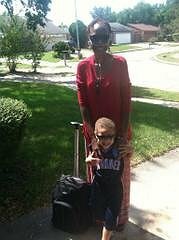 After leaving IBM, Deborah started her own Bookkeeping and Income Tax Business which she diligently worked until this illness made it impossible for her to do what she enjoyed most. Deborah’s Church activities include the Missionary Society and Vocal Choir. Deborah has a close relationship and strong support team in her family. Our family is committed to seeing her through this transplant. In 2014, Deborah relocated to Houston, TX in order to receive the medical care and transplant services that can save her life. Even with insurance, there are many costs that must be paid out of pocket. Some of these are co-pays; deductibles, travel and relocation expenses and she will be on a life-time of very expensive anti-rejection medications and much more. To help with the financial burden of expenses not covered by Deborah’s insurance, a fundraising campaign in her honor has been established with Help Hope Live, a trusted nonprofit organization that has been providing community-based fundraising guidance to patients and their families for more than 30 years. All donations are tax-deductible to the full extent allowed by law, are held by Help Hope Live in the Southeast Lung Transplant Fund, and are administered by Help Hope Live for transplant-related expenses only. To make a charitable donation to this fundraising campaign, click on the GIVE button or call 800.642.8399. On behalf of Deborah and our family, we thank you for your kindness, generosity, support and prayers. God is continuing to bless and keep me inspite of the many set backs I’ve endured lately. The latest being a bout of pneumonia. I’m now in Methodist for the second time fighting pneumonia. The “bug” as they refer to it just won’t go away. My weaken immune system allows it to linger unless the right string of antibiotics are found to treat it. So, I’m here again for at least another 14 days of antibiotic treatments. This will require another central line to be put in and some physical therapy. I’ll be movingn over to SNF (Skill Nursing Facility) after the central line is in. Unfortunately I had to go back on oxygen. The pressure of mucus in my chest lungs is unbearable without help to breath. I was most disappointed by this but realize it’s alll part of the healing process. Just thankful to be alive. I’ve cancel all plans to move home and will just focus on getting well. Home will be there waiting for me; an even sweeter resting place for continued recovery. Please continue to pray for me and my family. Their suspport and unconditional love has been the key to much of my recovery. However, my God gets all the praise and glory. He is worthy of honor and majesty. Most holy God. I failed to mention in my last update that in spite of all that I’ve been through this year, I’m excited to say that my new lungs are doing very well. They are getting stronger, and in January I came off the oxygen. That is a blessing and the one thing I worked hard to achieve. Im so thankful to God for guiding me through this journey in faith and hope for continued healing in His holy name. I also thank my donor, Marcos and his family for their unselfish gift of life given to me. Since my last entry, many back sets have happened sending me to the hospital for more extended care. Apparently my digestive system is not quite ready for solid food which resulted in lots of nausea, vomiting, diarrhea and pain. I was admitted to Methodist around Jan. 12 for what I thought was a cold and ended up spending four weeks filled with testing of all kind. A cold was the least of my worries as the real situation was gastro related and my ability to digest food, maintain my daily feedings via the Jtube and control nausea and vomiting. I experienced some of the most excruciating vomiting episodes I’ve ever had in my life. I thought my eyeballs would pop out or my body would just fall apart from the hardness of the vomit episodes. All of my attention was focused on staying ahead of the nausea with medication. Again, the nurses and staff were remarkable. So kind, compassionate and loving. Most of them knew me from previous stays, and most of them, I don’t remember at all. After that first stay, I returned within a week due to obstructed bowel. I spent two weeks that go round taking laxatives and having x-rays on my belly and chest. I returned home very hopeful that I could now focus on gaining weight and strengthening my body. It was not to be. Within two weeks, I had to return again for bowel obstruction after five days of dealing with excruciating pain in my stomach, back and chest along with vomiting dry heaves of nothing because my stomach was literally empty. That is the worst type of vomiting when nothing is there to come up. Mama and Bev did all they could to treat the symptoms at home with pain patches, pain pills, enemas, heating pads, you name it, we tried it. Nothing was working so I called Methodist knowing what the ultimate response would be “get to the emergency room ASAP”. I was so outdone. ER was the last thing I wanted to do but had no other choice. The pain had gotten so bad all I could do was cry in agony and call on the name of Jesus. We decided to use an ambulance this time in hopes of getting admitted quicker. As we entered the ER, I couldn’t believe my eyes. Patients were lined up on both sides of the hallway waiting to go through triage or be taken to a room. It was madness to the fifth degree in the Methodist ER which is ridiculous for a hospital of that size and reputation. I lay there on that bed in the hallway moaning and crying for what seem like hours until I was finally taken into a room, hooked up for an IV, blood taken for biopsy and examination, vitals taken again, and then wait for the results. I was so glad to finally see a doctor come in and begin to examine me by first releasing some of the fluids from my stomach via the gastric tube. I begin to feel a little relief but not nearly enough to relieve the pain. I believe that the doctors and nurses were working as hard and quickly as they could and that I just had to hold on a little longer before the pain would be dealt with. My brother Charles arrived and it felt so good to have him, Beverly and Mama there supporting me, praying with me, and assuring me that everything would be okay. They reminded me of how strong I am and that for all that I’ve been through this year and last year, how they admire my ability to stay strong, positive and resilient through it all. After about six hours of being in ER I was finally administered a low dose 2ml of morphine. This was my first time getting morphine that I can remember and knew that it was sometimes used as a last resort for pain. Within ten to fifteen minutes, I begin to feel the pain slowly ease away. Finally, some relief after days of pain, OMG, thank you Jesus! Around 3:00 am, I was moved to a room in Dunn building tenth floor. Throughout my stay that week, I was given morphine three more times for pain. I was visited by several teams of doctors from the Gastroenterology, Vascular Surgery and Transplant teams at least twice a day. Working together, my diagnoses was determined to be and obstructive bowel, no surgery required. I was discharged Feb. 23, 2018. As of today, I feel better each day and continue daily to focus on maintaining a regular bowel movement, being aware of any pain and treating the pain immediately instead of waiting until it’s time to take meds for the day. And most importantly, venting the gastric port often throughout the day. Mama is in Mobile for a week while Rick and Debbie, who took her there, continues on to Miami for a 5 day cruise to Jamaica and Cayman Island. I wish them all well and enjoyment as they spend time away to rejuvenate, relax and renew their spirit. My spirit is renewed daily as I look forward to going home by June in hopes of continuing to gain strength, and begin to enjoy food that I love and breathing the breath of life that God has given me without oxygen. It’s time to live life to the fullest again and believe me, I’m ready, God’s willing. Happy New Year. I look forward to continued recovery and to return to a more normal living in 2018. I don’t think I’ll be returning to work in 2018 and my major goal is to spend more time on writing my book to completion. As I reflect back on 2017 so many thoughts come to mind that I don’t know where to start. By far, having the transplant is at the top of the list. Something I waited almost 2 years for and spent over 150 days in the hospital. It turned out to be more than I ever thought it would be. My faith in God has reached a new level. My trust in God is infinity. I have no other choice. Family and friends can only do so much. They also have a life to live, jobs, careers, children and grands to raise and taking care of themselves. Unfortunately, im starting the new year with the flu. It’s all my fault when I fail to put on a mask Christmas Day when we were celebrating at Charles house. I should have known better. I did have on a mask Sunday while celebrating the new year here at Bev’s. However it was too late. The virus had already set in. We spent several hours in Methodist ER New Year’s eve waiting for a blood draw and nose swab. The meds prescribed by Dr. G seems to be working but at a slower pace than I had hoped. So, no outside activities this week. All appointments will be cancelled. This is what happens when I don’t follow the rules. Lessons learned. I know things will get better and I thank God that trouble, even illness, don’t last always. All praise and honor to my Lord and Savior Jesus Christ. I’m happy to say that I’m feeling pretty awesome these days. Pulmonary therapy is doing its job in strengthening and gaining endurance in my daily activities. I can now go hours without oxygen and even completed my six minute walk during the last clinic without it. That’s a major milestone in my recovery. My PT therapist is excellent in teaching the right exercises that support strength and endurance. That along with my daily walks in the house has made a huge difference. Now, if we could just get my gastro and digestive system to working properly I can start eating solid food and gain some weight. We are hoping with much anticipation that my next clinic visit will give the go ahead to start on a liquid or soft food diet. At least that would be something to add to the Jtube feelings. I may not be able to eat collard greens and turkey for Christmas but I can at least have some chicken broth or soup. I’ll take almost anything at this point just to taste something other than medication, water and occasionally a banana popsicle. I’m reading some great books right now, all authored by Max Lucado (“You’ll get through this”, “Anxious for nothing”). And lastly, I’ve pretty much taken all control of administering my medications. Beverly continues to submit the refills and pickup of my meds but I now do all the crushing, mixing, flushing, and separating the meds. This takes a lot off mama and Bev and allows them time to do other things. It’s about progress, recovery, and becoming more self sufficient. I love it. I’m thankful to God to see the progression over the past month or so. God is not slack on His promises. His word is true and His promises are real. I trust Him with my life; He is my healer. Praise God, Praise God! After being on the wait list for 23 months, I received a double lung transplant on Mar. 12, 2017. I’m a 60 year old female diagnosed with Scleroderma 2007 and PF Nov. 2013. Prior to transplantation, I kept fit through pulmonary rehab twice a week and exercising on my own at home. I was already on a feeding tube from a previous hospital stay due to malnutrition and respiratory infection. Needless to say, I was happy to finally get the call after waiting so long and looked forward to life after transplant. I was in the hospital, including rehab 4 1/2 months. I suffered through a lot of complications after the transplant with the worst being C-diff which lasted about 2 months. I was so miserable, uncomfortable, sad, depressed, anxious, etc….. But with much prayer, family support, doctors and staff support and encouragement, I made it through and today doing very well. Four weeks into my stay, I was transferred to rehab. The transfer was too early–I wasn’t physically ready for the change and after 4 weeks in rehab was transferred back to the hospital then back to rehab before I was officially released to come home. My body was so weak and I had lost so much body mass that I had to learn how to walk, talk, breathe, and groom myself all over again. There were times I didn’t think I would make it but my strong faith in God kicked in and then I knew without a doubt it would all be okay. As I begin to make small strides (or as I called them “milestones”) in my recovery such as weaning off the ventilator and the trach collar, my confidence grew and I begin to get stronger and stronger. I was discharged from my second stay in rehab on July 22, 2017 and was elated to be home. However I had to return to the hospital 3 days later due to constant nausea and vomitting of my meds. That stay lasted 5 days and changes were made in my medications. I returned home with a renewed hope. After a week or so I had not had a bowel movement and called my coordinator. He told me to come to the ER immediately. That stay lasted about 7 days. More changes were made in my meds and feeding supplement. Again I returned home believing all of this is just routine stuff and part of the process of having a transplant. A week later I went to the outpatient center for labs and received a call that evening to come to the ER as soon as possible. This time it was due to dehydration and the inability to get an acceptable reading level from one of my rejection meds. That stay lasted 2 weeks. I probably would have been discharged sooner but hurricane Harvey was in route to the gulf coast and everything in Houston was shutting down. The doctors felt it better that I stay until after the storms and my family also agreed. It’s now been almost 4 weeks since that last stay and I feel great, give or take the normal aches and pains that go with recovery. Due to Scleroderma and reflux, I had not eaten solid food since being admitted to the hospital back in March and the same continues at home. I now have to rely on a feeding supplements for at least six months and possibly longer. I’m okay with that, however it’s getting pretty hard to ignor my mothers southern cooking but I’m determined to follow doctors orders because I want to recover and one day move back to my home in Mobile, AL (among other things). I’ve asked myself several times would I have gotten a transplant if I knew all that would happen as well as asking would I go through another transplant if needed. I haven’t answered that question yet. Still thinking about it, but strongly leaning toward a “no”. However, I’m thankful and happy that I made the decision that I did. I believe with all my heart that it was the right decision to make at the time and an experience that I’ll never forget. God has given me new life and an awesome testimony of his grace and mercy. Speaking of new life, I’m also grateful to my donor family. I was surprise to receive a letter from the family with a picture of the donor. My heart rejoiced to put a picture to this person that agave me another chance at life. I’m now in the process of writing my response to the donor family. I’m so happy to let you know that I received a double lung transplant on March 12, 2017 at Methodist Hospital in Houston. I apologize for taking so long to inform you of this good news. However, I think you’ll understand if you knew what I’ve endured over the past few months. First of all, I’m not complaining. God has brought me through a tremendous three months of ups and downs which include three back sets and several additional procedures that had to be done in order to keep me headed in the right direction during my recovery. Today I can truly say that my prayers have been answered. I’m now in rehabilitation working hard to gain my strength back. It’s hard…..but I’m determined to make it. The road ahead is long and I expect to be in this new facility for at least six weeks then home for continued rehab and recovery. Thanks again to all of you who continue to support me with your donations and prayers as well as your words of encouragement. It means so much. I love you all and continue to pray for me as I also pray for you. It’s been a pretty rough last couple of months in my life. I was discharged from Methodist after spending 12 days in the hospital and 15 days in rehab. I couldn’t take the shortness of breath any longer and knew something very serious was going on. Of course, I didn’t know it was as bad as it was until I was admitted and into the first few days. My weight had dropped to 124 and blood counts were raging out of control. On day 2 a peg tube was inserted for feeding. My calories had to increase or no weight gain. The feeding along with 3 balanced meals and snacks daily was sure to do the trick. Around day 4 or 5 my Hemoglobin blood count was low and caused me to have to receive 2 pints of blood. I have never received blood before but had no choice in this situation. I also received an Iron transfusion. I felt so much better after the 8 hour transfusions. My energy level spiked up and my appetite was even better. “Oh for the Blood; it will never lose its power”. Amen in Jesus Name. I spent the next several days in the hospital gaining my strength back as much as possible and desperately trying to tolerate the daily doses of antibotics, heparin shots in my belly to avoid blood clots, sticks in my finger for blood sugar, and other medications taken all throughout the day and night. Thankfully, I was tolerating the feeding tube very well with the exception of dirrehea for a few days while my system readjusted itself to its new normal. I was moved to a private room after the 4th day which was so much better and allowed me to have more family in to visit. After 12 days, I was moved to the skilled nursing section for 2 weeks of rehab. I was happy to be there and finally off the Antibotics. My PT was Travis and Eleanor; mostly Travis. He was great and did an awesome job. They all did pretty great, nurses and staff. As it got closer to my discharge date, wouldn’t you know, I started having complications. First, I had a bad case of constipation 1 day before discharge. I don’t know what happen, but I stayed awake all that night crying out in pain. I finally started to pass gas and other stuff later that morning after taking a few different laxatives. They decided to keep me another day for observation. Things improved and I prepared to check out the next day which was Friday. Thursday evening the worst happen. The nurse was unable to flush my peg tube as was a normal routine before inserting the feeding for the evening. They tried everything possible to flush that tube but it just wouldn’t budge. I was so disgusted but tried not to show it. The nurses (3 of them) tried and tried assuring me that it would be okay and they would get it unclogged. Well, I ended up going to sleep that night with no feeding and not knowing what the next day would bring. On Friday morning I ended up back in radiation where it all begin to have another peg tube inserted. No surgey required, but still, it’s a procedure that required a mile anaesthetic. After returning from that I was more than ready to go home and hoped the Doctor would see it that way as well, and he did. I never found out why the peg tube clogged, but at that point, it didn’t matter. I’m now home and have gained my weight back and more, appetite is good and doing so much better. I’m getting in-home PT and a nurse comes in once per week. Mama is doing better since I come home. I can tell how she perked up after being here. Family is strength. We draw strength from each other and we also suffer with each other. Thank God for Jesus and for family. Today I received a call from my transplant coordinator, Serena saying “Ms. Pettway, I have some good news for you”. Of course my heart skipped a beat thinking the call had come to report to Methodist for the transplant. Well, not quite yet, however I have moved much closer to getting that call. Some discussions occurred in the transplant doctors meeting Tuesday regarding the issue with my antibodies and inability to get a match. It now appears that some changes have occurred or have been discovered that now conclude that I have one strong antibody and one other antibody that can now be matched up with a donor. It’s just a matter of time and according to Serena, it should not be too long. When it comes to discussing antibodies, I know just about as much as I know about algebra, and that’s not much. After all the reading I’ve done on the subject, it still escapes me as to exactly what they are and what they do. So, I leave it up to the professionals to know what their talking about. When receiving news like this I feel all sort of emotions; happiness, joy, excitement, apprehension, even a little anxiety. I feel strange. I’ve been waiting for that call for sixteen months and living away from my home for almost two years. It’s hard to start jumping up and down with joy knowing I’m close to receiving a very serious operation that will change my life forever. To know that something will happen soon that will also change the lives of my immediate family, at least for the next one or two years. I guess I need to start making more concrete and complete preparations like getting this gel nail polish off my fingers and toes and making sure I have toiletries and pajamas ready to grab at a moments notice. Most importantly, I just need to stay calm, cool and collected. I can do that. Celebrated my 59th birthday last month and the 2nd birthday since I’ve begun this journey for new lungs. Boy how time flies by when you’re waiting for something to happen. Actually, it flies by rather slowly most of the time when all you have to do is sit and wait. Thankfully, I don’t experience much of that. I have enough to keep me busy throughout the day almost as if I was working a part-time job. Bills to pay, emails to answer, mail to open and papers to file. I’m still doing bookkeeping for one client, processing their bank statements. The money isn’t much, however, I’m happy to be doing the work as long as it last. Summer is here and it gets pretty warm in the house due to an aged AC system that doesn’t put out as it should. This morning, the portable AC decided to stop working, so I’ll just have to go with it until Bev comes in tonight. I’ll probably head back to the bedroom early where it’s much cooler and comfortable. I’m sure Scooter (my dog) will be happy about that. I can tell he’s a bit uncomfortable with the heat. I’m also not as agile as I’d like to be today because of the heat. It draws the good oxygen out of the room making it more difficult to breath. Mama’s in Mobile enjoying herself and having some people do home repairs and cleanup. I’m really happy when she’s able to take these short trips home. It’s a time for rejuvenation for her and a time of quietness, meditation and fervent prayer for me. Of course we talk daily and I really do miss her being here. Things are coming along very well with writing my book. I’ve already put together a great bit of the content. The challenging part will be putting together the format of the book to make it appealing on the bookstand, but that’s far down the road. I’ve also got a lot of work to do on the content with sentence structure and language to make sure what I’m saying makes sense. Boy, I wish I had paid more attention to my English studies in high school and college. It would really pay off in a positive way right now. It’s truly a work in progress and God is guiding me all along the way. Had a pretty interesting Clinic visit the other week talking about blood types and antibodies. I’ve always known my blood type was B+ but asked for verification just in case it wasn’t. Sure enough, B+. Again we asked the most common questions of the Doctor “why is it taking so long for a donor match (Apr 22 will be 1 year on the list)”, hoping for a different answer from previous visits. This time we were told my blood type (B+) is rare and hard to match. My thought then was that, it would have been nice to know this bit of information at the beginning of the transplant process. However, on the other hand, maybe not. It’s just one of those questions I never thought to ask until I’ve done some research or saw it mentioned on my group support website. Well, needless to say, that was not the news I wanted to hear, however, I took it in stride. It is what it is and I can’t change it. God has already assured me of victory over this disease, one way or another. Waiting has increased my faith tremendously, and offered some awesome new insights into how God deals with His people. It’s all in His word, and I gladly and joyfully find the time to make sure I intake it on a daily basis. It keeps me balanced. Hey everyone! It’s been a while since I wrote, however life is good and moving ahead. I’m doing good at keeping my weight up but can’t seem to go any further than 130-132 pounds. My appetite is good and breathing better as long as I don’t overdo it. I’m still enjoying my weekly breathing classes but had to cut back to 2 per week instead of 3 due to insurance limitations. My family is doing well. Please continue to pray for my mother. She’s 86 now and doing very good for her age, so we have to keep aware of her health and well being. I enjoyed the daily devotion today from ODBread and want to share part of it with you. The scripture comes from James 1:2-4 In writing a letter to the Jewish leaders, James (the brother of Jesus) brought a message of how to profit from our trials and tribulations. He says “count it all joy” knowing that God knows all about our troubles and has not forgotten us. Points to remember 1) God brought me to where I am at this time so it is by His will that I’m here. Rest in it. 2). Through my trials, God will keep me in love and give me grace. 3). He will turn my trials into a blessing teaching me life lessons along the way. 4). God will bring me out of my trials in His good time. Summary: I am here….by God’s appointment, in His keeping, under His training, for His time. There will be no instant solutions here, no quick fix, no rushing, skipping the line or cheating. I’m kept by God’s grace and His love so I will rest in His peace. Below is an excerpt from my morning devotional reading titled “Victory Cry” Joshua 6:20. The Israelites conquered the city of Jericho, finally claiming their rightful place in the promised land. The Israelites must have felt so relieved to claim a victory after so many years of waiting and preparing. Can you relate? Have you been feeling that you are in a holding pattern, that your circumstances are not changing? Do you long to have resolution, to have even a small victory? God is working even while you are waiting. Think of this time of waiting as a process that will eventually culminate in a victory. In the meantime, remain faithful and know that God is there with you, preparing you for the battles, goals and victories to come. God is truly an on time God. He knew I would need these encouraging words today and He provided exactly what I needed. I begin to feel depression slowly coming over me after speaking with a Nurse at Methodist regarding some additional test the Doctors have ordered and two test in particular that will not take place until after my next clinic in March. My daily hope is that “the call” will come telling me that a lung is available. It’s a natural thing when your in my position. Then to be told that additional test are needed, it concerns me greatly. However, on a positive note, I was told that my name is secure on the transplant list. I will be victorious over this disease and know that because of my faith, God is in control and a resolution is coming soon. If you’ve ever had to wait for something to happen and know that you have little to no control over the situation other than to stay healthy as possible, it pays to have faith in Gods word, study the word daily, pray often, meditate on Him daily and stay positive. The Israelites waited 40 years to enter the promised land and had to deal with many enemies who wanted to destroy them, but God brought them through, just as He promised. God also promised He will bring me through my situation. He’s the same God and He keeps his promises. Victory is coming and God will get the glory and the praise. I give thanks and praise to my Heavenly Father for caring so much for me and bringing a word of encouragement just when I needed it. Only God can do that! Praise God from whom all blessings flow. Praise His Holy name. I can’t believe I’ve been in Houston over a year; boy how time flies. It’s been a year unlike anything I’ve ever experienced in my life. I’ve grown in Christ and learned so much about myself. I’ve also grown closer to my family, friends and supporters. God is awesome and does work in mysterious ways. I had a visit with the Transplant Doctors last week, and everything looks good. I need to gain a little more weight in order to be sure to maintain a healthy weight for the transplant and a good recovery post-transplant. Overall, I feel good most days without any pain, tiredness or fatigue. It’s getting cold now, so it’s important that I limit myself to outside activities. I’ve been engrossed lately in my latest read; a book on Jesus’ Parables and some healing, prayer, confession and meditation videos I found on YouTube. The family is planning thanksgiving in a big way, as usual, at Charles house. It’s always a great time bringing all the family together. I wish all of you a very happy Thanksgiving and as we celebrate, let’s not forget to give thanks to God for all He’s done and continues to do in our lives. I thank you as well for your continued donations and prayers. I would like to give a big shout out THANKS to Ministers Rod and Margie Odom and Equilla Roberson along with New Shiloh Missionary Baptist Church for sponsoring a fundraising campaign on my behalf. Not only did they sponsor the campaign, but it was taped and is being broadcast on Comcast Channel 6 Monday nights @ 9:00. God brought these wonderful people into my life and they have shown so much love and kindness to me and have shown so much compassion for my cause. I also thank all those who attended the event at New Shiloh and showed your love and support. Even though I was not able to physically attend, I had the awesome opportunity to call in and speak to everyone. I pray Gods richest blessing for all of you. Please continue your prayers……….prayer works!! I love the weather here in Houston during this time of the year. It’s slightly cool, shady, and the wind is lightly blowing. Perfect day to have a cup of coffee, tea or drink of choice on the back patio while Scooter runs around the yard sniffing on everything he can find……Listening to Tamela Mann singing “I can only imagine, Now behold the Lamb & Take me to the King. I can think of no better way to start my day than praising my Lord and Savior in meditation, music, and a cool fall breeze. My health is stable and I’m just trying to keep it that way and not decline. I’ve been dealing with a serious nasal drip for a month along with dry coughing. This is not unusual with pulmonary fibrosis and is one of the major symptoms. Just seems to be more and more lately. I wish I had stock in Kleenex because I’ve definitely used my share of them lately. My breathing is good as long as I don’t exert myself too much. I moved from 3 to 4 liter oxygen usage in the summer and will continue that way for now. I continue to enjoy my weekly sessions of pulmonary therapy at the Breathing Center of Houston. My prayers go out to all of the people there, who like me are just trying to hang on to life and stay as healthy as possible. I’m glad to have my mom back in Houston. She spent 3 weeks in Mobile taking care of business concerning our homes, among other things. I missed her company and cooking. However, I was glad for mom to have the break away from Houston to enjoy her own home; you know the saying ” there’s no place like home”…….and that’s for real. Please continue to keep me and my family in your prayers, as we continue to patiently wait for God’s miracle of getting two good lungs to become available for me. We also pray in advance for the donar family who will give the miracle of life. Greetings to my supporters, friends, family and all of you who are sending up prayers on my behalf. Thank you for your continued support. It really means a lot as I continue to wait for donor lungs to become available. I love reading “Our Daily Bread”. It’s that little book we often pick up for free in the vestibule of Churches. I decided to look a little deeper into that little book online and guess what?….. I found the app! I was so excited! The app is awesome and very user friendly. Best of all, it links the scriptures to the Bible Gateway website so that I can research The Word while reading the daily topic. I’m feeling great these days and I think it’s because I increased my exercise routine here at home while waiting for my Insurance and Methodist Hospital to work out something to get me back into pulmonary therapy. After almost two months of no therapy (except what I did at home) I started back last week at The Breathing Center. I’m glad to be back in therapy as its one of the only chances I get to interact with other people in the same or similar situation as myself. Mother is home in Mobile for a couple of weeks. We’re taking a chance that Methodist will not call while she’s away to come in for the transplant. She would be devastated to miss that part of the process. However, I’m glad she’s home. She needed to get away and relax in her own home for a while. It’s amazing how much you miss home when your away for a long period of time. Even away for a short time, I miss my home. I guess it’s a sentimental thing. I can’t go home until long after post transplant, so it doesn’t bother me as much. But, the saying is true ” home is where the heart is”. My siblings, Beverly, Charles, Rick and Nephew Mike along with Mama are doing an awesome job in keeping a check on our homes. I thank God everyday for them. May Gods loving grace and mercy continue to keep you each day. Give God the Praise! All Praise to my Lord and Savior Jesus Christ on this beautiful Sunday. This is a day of praise and worship. I hope you had a chance to attend Church to honor God today. My thoughts and prayers goes out to the Missionary Society of Greater Mt Olive Baptist Church #2 as we celebrate our Annual Mission Day. I regret that I can’t be there celebrating with my Sisters and Brothers in Christ. However, my spirit is truly with them today as the program go forward. So many of you continue to send cards, text, and donations to help with my medical expense. Thank you so much! My next visit with the transplant team is Aug 20. I look forward to the visit and to see how my lungs are doing. The summer thus far is HOT HOT HOT so I only go outside as needed, which is not often. When I do go out I have to turn up the oxygen another liter. My best bet is to stay out of the sun as much as possible. I’ve been attending a wonderful Church here in Houston “Fountain of Praise”. The Word is truly preached by Rev Wright and I look forward to attending service as often as I can. My family is doing very well. Mama went through another bout with her knee and back but was able to get some relief after her trip to Mobile and visits with her Doctors. She is a real trooper. I love her so much! Beverly continues to stand strong as well as Rick, Charles and my nephew Michael. These family members are my main caregivers proving transportation, food, housing, and anything I need through this process. I thank God everyday for them. I leave you with this message of LOVE. KNOWING THAT WE ARE HIS CHILDREN SHOULD ENCOURAGE US TO LIVE AS JESUS DID. I had a visit with the transplant team on 6/25 for a two month evaluation since being put on the transplant list. I made it through the labs, ct scans, and pulmonary function test with flying colors. We met with the doctors for a rather uneventful meeting. My weight is up (130) yea….. and everything appears to be functioning well, except my lungs, of course. The waiting room was rather crowded with other lung patients, and my heart felt sad, because in a way, I know what they’re going through. We’re all there pretty much for the same thing; to get new lungs, whether it’s a single or double. I’ve gotten so much support from the pulmonary fibrosis support website that I joined. It’s a treasure trove of information from medications to take and not take, too Doctors to see and not see. I get a chance to share my experiences as well as get valuable information from women and men all over the US and Canada. Thank you all for continuing to support me, and please let me know you’re there by writing in my Guest Book. Thanks so much and I’ll chat with you again soon. Love you all!!! On this beautiful and hot Monday morning, I give all praise to my Lord and Savior Jesus Christ. I thank Him for continuing to keep me lifted up in spirit and strength. I feel good today…..even though I’ve been a bit antsy lately trying to fulfill my days with positive things to do while I wait for the call from Methodist for transplant. I found something that is helping me very much. It’s a coloring book……how about that? I never thought a coloring book could bring so much pleasure to me, but it has. It’s a very soothing kind of relaxation that calms my spirit and relaxes my nerves. As far as my health, I’m doing very well. It’s so important that I continue to exercise because if I don’t, I begin to feel the stiffness all over my body. Missing more than 2-3 days is not a good thing for me. Exercise has become a way of life and it will be that way until I just can’t exercise anymore. My family is doing well also. I really enjoy having my great-niece’s and nephews come over to visit. Children are so innocent and funny; it’s just a pleasure to be around them. Please continue to keep my family and I in your prayers as we continue this journey. Don’t forget to sign my Guest Book located here on my website. I would love to hear from you! Much Love and Blessing to everyone. Hello everyone. Tomorrow will be my first appointment with the transplant team since being placed on the transplant list. These visits are a requirement every 2 months in order to remain listed for a transplant. I feel that it will be my best visit since starting this process back in Sept 2014. I feel stronger than I have in a long time. The breathing class along with healthy eating has made the difference. I continually ask God for guidance and direction and He answered. Everyone who see me now can tell the difference. I praise God for it all. The stronger I get the better, as it will play a very important part when it’s time for the transplant surgery. We continue to patiently wait in prayer for the call. Thank you all for your continued prayers and donations. I’m thankful to God for keeping me and my family safe during the tremendous storms that passed through a couple of weeks ago. So many people in the Houston area lost their homes, cars, and approximately 9 lost their life. It’s an humbling experience and makes me more than ever thankful for family and friends. So many of you called or texted to check on me and my family. Thank you so much for your care and concern. I know that my home town of Mobile has also been dealing with a lot of rain lately, so you guys please be safe and take care of one another. My prayers go out to my Mt. Olive Baptist Church family, Mission sisters and brothers, First Eastern Shore Association, Vocal Choir, Eleanor Chapter #62 OES, friends and neighbors. I love and miss you all. I’m feeling in good health and spirit these days. Friends and family have provided me with a lot of inspirational books, cards, music etc… So there’s plenty to read and music to listen to. Continue to keep me in your prayers. All Praise to God for His mighty acts. He’s keeping me. Love you all. I give all praise to God for keeping me in His loving care. Life is truly amazing and more profound every day I live. Of course, I have a lot of time now to think about Life (past, present & future) and appreciate all that it offers me. I think about my childhood and being raised by loving Christian parents in a stable home and how that has shaped me into the person I am today. Thanks Mom and Dad. I celebrated my 58th birthday on the 14th of May. I thank God for another year of life. It was not a very eventful day because a few days before, I was struck with a serious arthritis attack all over my body (legs, hands, shoulders, and head) and had to double up on one of my meds to get through it. I feel much better now and most of the pain is gone. I’ve been on the transplant wait list for a month now. My overall health continues to improve as I attend my 3 day weekly breathing and exercise class. I look forward to the class, seeing and talking with the other patients, exchanging stories, and vowing to pray for each other’s recovery to good health. Today’s workout was very strenuous with Rendell. I learned some new exercises for my neck, shoulders, upper chest and balance control, as well as 15 minutes on the bike with a lot of resistance. I couldn’t wait to get home, eat breakfast and hit the bed. My dear Mother was hospitalized since I last wrote. She is doing much better and I continue to solicit your prayers for her health and strength. Thank you also for your continued donations to help with my medical expense after the transplant. Lastly, check out the “selfies” I posted on the website in the photo gallery. I love you all and pray God’s blessing upon you. Tomorrow is a very special day. We celebrate Mothers Day. The older I get, the more I appreciate my mother and mothers around the world for the awesome responsibility they hold within their family. I would like to wish my mother (Rose Mary Pettway) a happy mothers day and let her know that I Love her so very much. Over these last several months since relocating to Houston, we’ve become even closer. Living in the same home and spending so much time together, we get to talk about any and every thing there is to talk about. I’ve learned more about her and my fathers child hood than I ever thought I would and it’s just a pleasure to sit and talk about old times. She is a strong woman, filled with so much wisdom. On this Mothers Day, I celebrate my Mother and thank her for all that she’s done for me. I Love You Mom. It’s a really beautiful sunshine day here in Houston. There is something about the sunshine that gives a feeling of happiness. I’m feeding off of that sunshine today. It’s all part of staying positive and upbeat while dealing with everyday life situations. I had a great workout this morning at The Breathing Center. We increased my walk speed on the treadmill up to 1.8, the fastest I’ve walked since becoming ill. My strength is steadily increasing and my upper arms are getting bigger and stronger. They no longer have to use the baby stethoscope when taking my blood pressure; I’ve graduated back up to the adult size 🙂 (kinda funny when I think about it). My legs are stronger and breathing is much better. I thank God daily for His many blessings. He is truly keeping me in his arms of protection. Please continue to pray for me and my family. We appreciate your donations and the love you’ve shown during this time. All Praise to God! After all the testing, evaluations, clinics, more testing, and waiting, my name was finally put on the transplant list today. PRAISE GOD! I received my lung allocation score from the United Network of Organ Sharing (UNOS) waiting list. Now we wait for the call that could come at anytime. However, the wait time for a double lung is 2-3 times longer than a single lung, but you never know. I have to get busy now packing my bag to take to the hospital. They really stress the importance of having that bag packed and ready to go. In the interim, I’ll continue with my 3-day weekly breathing and exercise class, eating as much food as I can to keep my weight up, and try to stay as healthy as I can. Thanks to all of you that continue to pray heavily for me and my family. God bless you all. All praise to my Lord and Savior Jesus Christ. It’s a very overcast and rainy day here in Houston, and I feel good in my spirit because God has allowed me to be here. Last night, I found myself engrossed in the book of Proverbs reading about wisdom and understanding; and you know what, it just pays to do the right thing by our fellow man. To treat each other with love and kindness at all times, and to keep away from evil. I just love reading the book of wisdom. As for me physically, I’m feeling great. I feel stronger than I have in weeks and able to walk a further distance than I have in the past and not be out of breath. The breathing and exercise classes are such a big help and I look forward to the workout. My reading has also increased and I was finally able finish a book that I started reading 4-5 months ago titled “The Alchemist”….one of Oprah’s favorite. It was a rather complicated reading which means I’ll have to read the book again, however, what I glean from it is that, we pursue our treasure by traveling far distances away from home and family only to return to the place we started to find our treasure was there all the time. However, through our travels, we learn about our personal demons, our strengths and weaknesses, we take chances we otherwise would not have taken and become resilient to the world around us. Like I said, it will take a second read to get the whole picture, but I found the book very interesting and thought provoking. My family is doing well. Please pray for my sister Beverly. She’s dealing with a terrible cold/allergy situation and just can’t seem to shake it off. She is my major caregiver and a key part of this process. My prayers continue to go out to all of you with much love and admiration for all you do on my behalf. Be blessed my brothers and sisters. All praise to my Lord and Savior Jesus Christ. His blessings continue to flow daily. That appointment finally came through and will be performed next week. I felt some relief knowing that one more thing I can put behind me on this journey. I’ve been under the weather this past week and have pretty much confined myself to home and bed. I continue to go to my breathing classes 3 days a week, even though I probably should have stayed home. I thought it would help me feel better. During these times, it’s hard to read because I can’t concentrate when I’m not feeling well, so I do a lot of praying and singing old spiritual hymns such as Guide Me Oh Thou Great Jehovah and Shine On Me. These songs soothe my spirit and relaxes me as well as reassures me of the presence of the Holy Spirit. I hope to feel much better in a few more days. Many of you have been calling and texting your words of love and support. Thanks so much!! Keep it coming. I love you all. HAPPY EASTER! The Bible says in Isaiah 40:31 But they that wait upon the Lord shall renew their strength; they shall mount up with wings as eagles; they shall run, and not be weary; and they shall walk, and not faint. We are by nature an impatient people, but sometimes God allow things to happen in our life that will sit you down and force you to be patient and wait. I have one diagnostic test procedure I’m waiting to take before being put on the transplant list. Everyday I wait and anticipate a phone call from the Clinic, while working myself into a frenzy. Then I realize that waiting renews my strength, if I don’t faint or let it get the best of me. I’m now taking this “waiting time” to truly reflect on God’s goodness, mercy and grace. I’m not saying that everyday is peaches and roses, but I try to make sure that I accomplish something positive each day. So many of you out there are praying for me. Keep it up and thank you so, so much. What a journey it has been getting to this stage of receiving a lung transplant. After numerous diagnostic testing, and meetings with the Methodist Transplant Team over the past 5 months, we received the news that we’ve been waiting for; approval for a double lung transplant. I was elated, however, knowing that we’ve only completed phase 1 of this journey. Please continue to visit my website for updates as we go into phase 2 and continue this journey. I pray good health and God’s strength and love to all of you………and most of all, thank you for your financial support. To My Dear Sister, Thank you for all the Love and Support you have given to so many people. It is my prayer that you prosper in Good Health, even as your soul prosper. I admonish you to keep the faith and never grow weary in doing well. I thank God for allowing our paths to cross. You have always been an inspiration to me from day. The vocal choir is praying and missing you. Loving you. Praying that all things are going well. May God continue to bless you. Keep the faith. And no we are all praying for you. To return home. One day soon .your sister in church sis Sylvia Dials. Wishing you much Happiness and improved health in 2017. You have always been such an inspiration to me... Keep fighting! Many are the afflictions of the righteous but God will be with us in them all. You are not alone cousin. Prays are going up for you the blessing is coming down. Deborah, I'm happy that you are settling in Houston. I trust that God will continue to provide all of your needs. Keep strong in your faith and may God continue to bless. Goodmorning my sister in Christ continuing in prayer and thanking God for your healing I know that God has granted your prayer, we are just waiting on the manifestation. Happy to hear you are enjoying the beautiful weather out there. Debbie be encourage, and keep rejoicing and thanking God. LOVE YOU my sister in Christ. Debbie, You are so strong. Your mental ability is amazing and it shows in how you are handling your current health situation. I have had a minor back problem for the last couple of weeks and am about to go crazy. I say this because you have been working on your health issue for over a year now and through it all you have maintained a positive and pleasant attitude. You have given the wheel to Jesus and have allowed Him to handle this. He Will. Quiet, Beautiful spirit. Love you to the Moon and Back. This is my Aunt Debbie and I love her! I'm happy to give! But he was wounded for our transgressions, he was bruised for our iniquities: the chastisement of our peace was upon him; and with His stripes we are healed. Isaiah 53:5 We Love you! Look to Jesus,stay positive,focused and faithful.We are praying and in agreement that this is already done. Wishing you and your family the best. Through God's grace and mercy all things are possible. May God bring you healing wonders and high spirits to see you through this journey. This too shall pass...lean to God who is the healer of all. Sending prayers to you from your hometown, Mobile, AL and church family. Hang in there my sister, God is with you. God Bless...Live Strong! Stay strong, cousin! I pray for you every day to receive your transplant. We love you! I love your update posted on March 17th. I admire your patience. Finally got word from the clinic regarding this last test so things will move forward to being listed. I am praying for my sister and our family that we will all have patience, hope and love to see Debbie through to a fulfilled life post-transplant. Our fundraising campaign has just begun. I am excited for the opportunities and possibilities. Thanks for everyone for supporting Debbie.